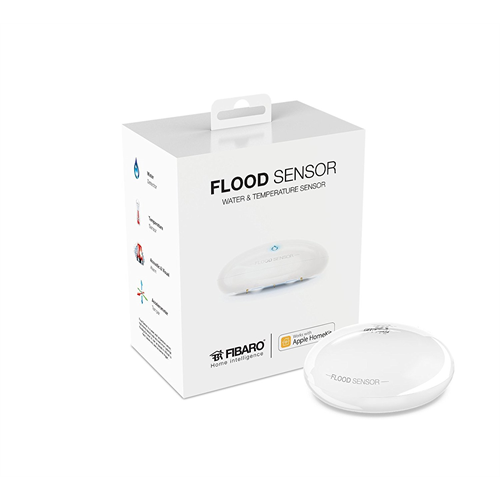 The Fibaro HomeKit flood sensor should be placed in strategic areas around the home where water leaks are expected. Kitchens, bathrooms, furnace rooms, laundry rooms all have the potential for disasters based on leaking pipes or fixtures. 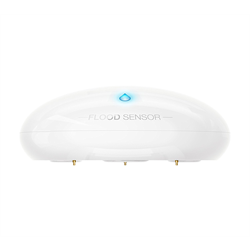 When water is detected, the water sensor's built in alarm sounds, the LED indicator lights, and you can trigger a HomeKit scene if you have other HomeKit enabled devices. For example you can set a light to turn on to alert you. You can also receive a push notification via HomeKit on your iOs device. The Fibaro FGBHFS-101 flood sensor also has a built in temperature sensor so you can ask Siri the temperature. Note: Remote access requires a current Apple TV with updated firmware.